We work by seeking excellence in the treatments we perform on our patients, offering modern dentistry at the same level as any other country without this signifying high costs as in the United States or Europe. 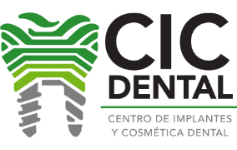 That is why we have become the best option in Honduras for you to visit us and benefit from the latest advances in the world of dentistry. Why the Maintenance and Prevention Program? Dentist surgeons and Certificate in the “Program in Implantology” of the University of Texas-Houston Health Science Center- Dental Branch.